The Noels were one of the oldest and most prominent families in McDonald County, Missouri; the town of Noel, Missouri was founded by members of the family. Mary Lula Noel was one of ten children of W. H. Noel, a former deputy sheriff who had also held several elected offices in McDonald County. In December 1892 Mary was staying at the farm of her sister Mrs. Sydney Holly. Mary’s boyfriend, William Simmons had come down from Joplin to see her and was also staying at the Sydney’s farm. 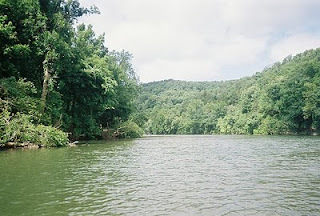 On Friday, December 9, the Hollys made arrangements to cross the Elk River the following morning, to go to the home of W. H. Noel near Pineville . The two families would then travel together to the town of Noel. William Simmons was asked to join them but he declined, deciding instead to take the train back to Joplin. Mary said she would stay with William and wait with him at the station until the train arrived. She would then join the family at her parent’s house. Elk River had been rising and the Hollys feared that if it continued to rise Mary would not be able to cross at the ford. Mary said if that were the case she would stay with one of several relatives this side of the river until the river was low enough to cross. Sure enough, the river rose after Hollys crossed and it was too deep at the ford even to cross on horseback. Mary did not arrive at her parents’ house that day but the family was not alarmed. They were certain she had stayed with relatives as she had planned.When they still hadn’t heard from Mary by Tuesday their complacency turned to panic. She had not stayed with any of their relatives and no one in the Holly's neighborhood had seen her. On Saturday, one week after Mary had disappeared, a systematic search for her body was begun. The hills were searched and the river was dragged. Powder was exploded over the river’s surface to try to raise the corpse. Around 2 o’clock that afternoon her body was found in a narrow place in the river caught on a willow branch, a quarter mile below her father’s house. There were bruises on her face and neck, as if a hand had been over her mouth to prevent screaming as she was strangled. There was one large bruise on the back of her head and her neck had been broken. Her lungs were dry; there was no evidence of drowning. William Simmons was arrested in Joplin as he was preparing to leave town. It was feared he would be lynched if taken to Pineville so was put in jail in Neosho, Missouri. Simmons was indicted for first degree murder. Simmons's attorneys requested a change of venue, arguing that a fair trial in McDonald County was impossible. The request was granted and the trial was held in Newton County. At least seventy witnesses testified and the case was hotly contested but the evidence was circumstantial and the jury could not agree. The first trial resulted in a hung jury. In the second trial, the state allowed the possibility that the killing was done on sudden impulse and without deliberation. They requested the judge to instruct the jury on second degree murder as well as first degree murder. The request was granted. They jury returned a verdict of second degree murder and sentenced Simmons to ten years in the penitentiary. Most of what is known about the murder of Mary Lula Noel comes from the 1897 book Illustrated History of McDonald County, Missouri by Judge J. A. Sturges. It is a short but faithful restating of the basic facts surrounding the murder and subsequent trials. But the reader gets the sense that Judge Sturges knows more than he is telling. Probably concerned with maintaining the reputation of the Noel family, he never explains William Simmons’s motive or what actually transpired after the Hollys left their farm that December morning. The other work that keeps Mary Lula Noel’s murder alive is the American murder ballad, “The Knoxville Girl.” It’s an American ballad because in its final form there is no question it is about the murder of Mary Lula Noel, but its roots are in the British Isles and go back about as far as we can trace English language ballads. The roots of “The Knoxville Girl” come from the 17th Century British ballad “The Bloody Miller” and the later version “The Berkshire Tragedy.” In America it was sung as “The Lexington Miller” and the “The Oxford Tragedy.” Mary Noel’s murder fit the narrative of the ballads so well that it became the source for “The Knoxville Girl” the eventual standard American version. The evolution of these songs is explained in detail by Paul Slade: Unprepared to die: Knoxville Girl. The first recorded version of “The Knoxville Girl” by Arthur Tanner and his Corn Shuckers in 1925 finalized the lyrics. 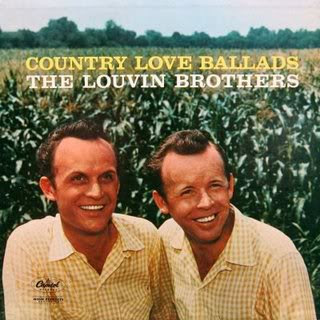 The Louvin Brothers’ 1956 recording made the song a standard. It is a stripped down and very frightening song, and like Judge Sturges’s story leaves a raft of unanswered questions. Sturges, J. A. Illustrated history of McDonald County, Missouri: From the Earliest Settlement To the. Present Time. Pineville, MO. 1897. 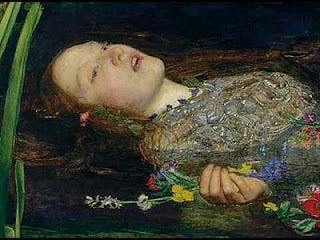 To my surprise, I recently saw a reproduction of the painting you posted "Ophelia" by John Everett Millais. The reproduction can be seen at the Academy of Arts Gallery at 79 New Montgomery in San Francisco, CA. Yes, it's the best dead girl painting ever. Since I could not find any pictures of Mary Lula Noel, dead or alive, I decide to go with the Pre-Raphaelite ideal. Is there a book about this story.